Check it out, Groove-ophiles! Back in the Groovy Age, when you stood before that sensational spinner-rack, you never knew what wonders might await you. Take, for instance, Weird War Tales #40 (May 1975). WWT was always a cool mag with a mix of war, horror, mystery, horror, and sometimes even sci-fi that always gave you your quarter's worth of cool. 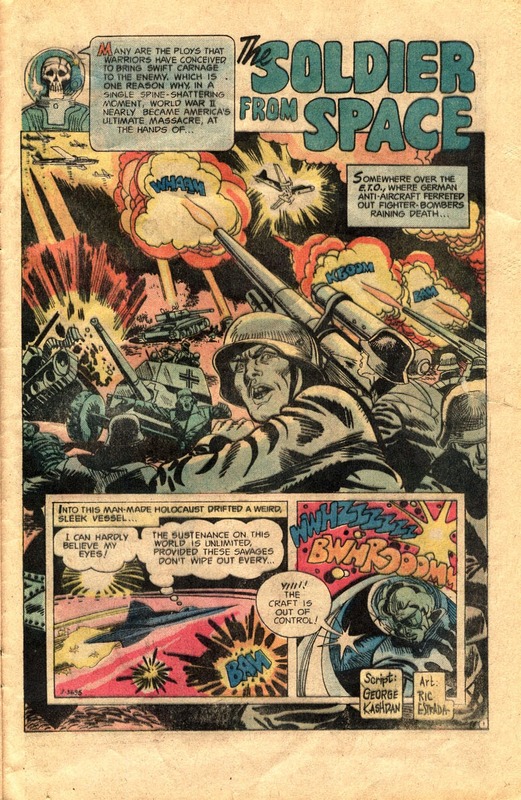 Ish 40 was one of those surprise issues where you got not one, but two sci-fi oriented war fables--and that was plenty cool enuff to make me plunk down my twenty-five cents. 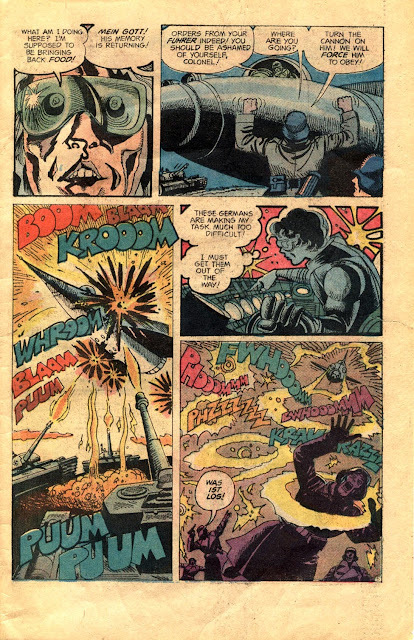 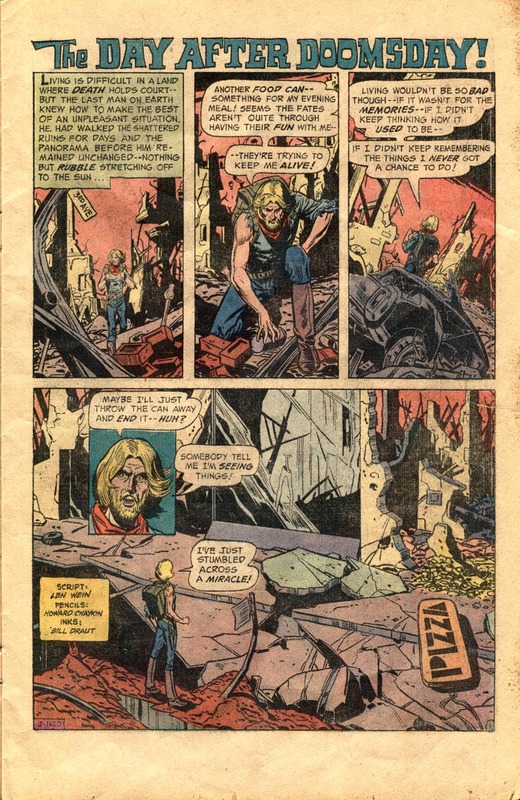 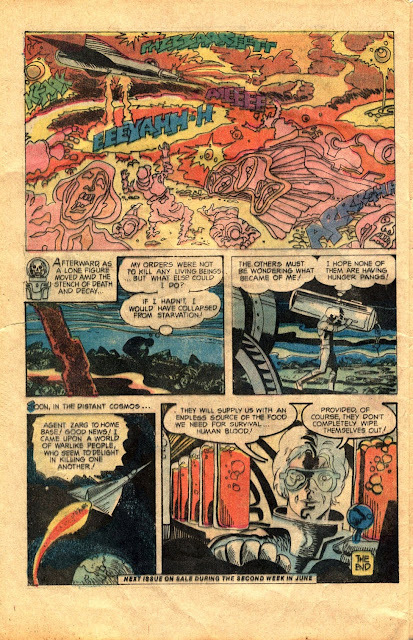 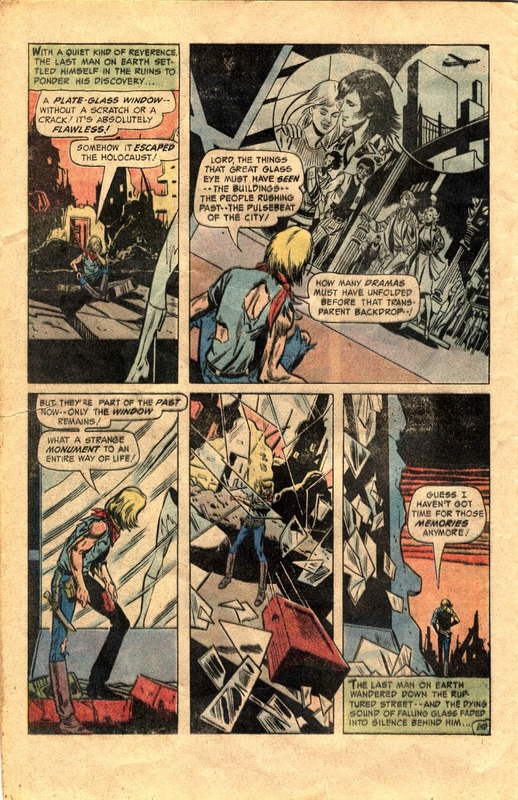 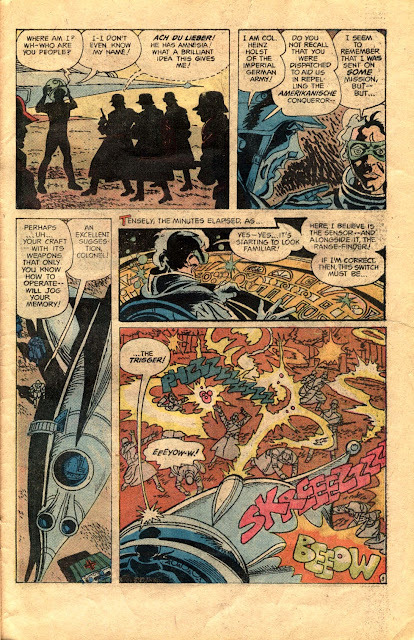 But dig it: one of the sci-fi stories was by Len Wein and Howard Chaykin (inked by Bill Draut), "The Day After Doomsday!" Only two pages, but hey, it was c-o-o-l! When ya made it to the final story of the ish, veterans George Kashdan and Ric Estrada laid a trippy WWII/sci-fi/horror trifecta 'pon us--you know the kind that makes ya go, "Hmm!!" 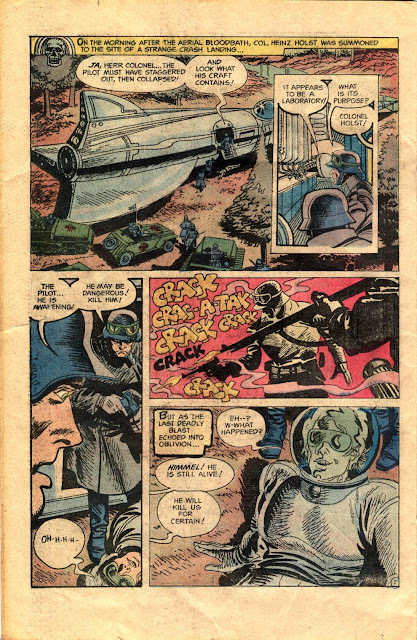 with "The Soldier from Space"! Check 'em out, baby! 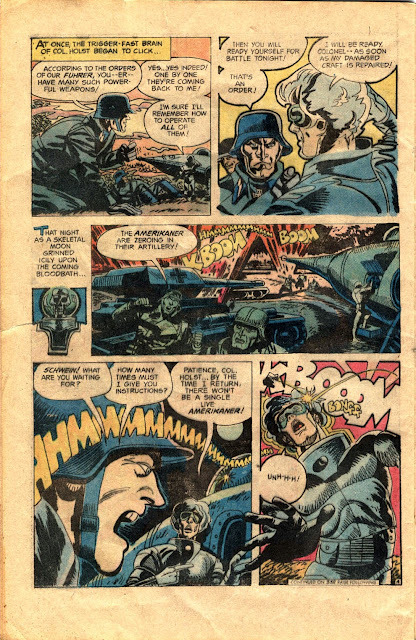 Didn't read many war comics, but I think Weird War Tales was my favorite, precisely because of stories like these. That second one in particular is a real kick (and a bit sobering).